An image is “a word or sequence of words that refers to any sensory experience” (Kennedy and Gioia 741). 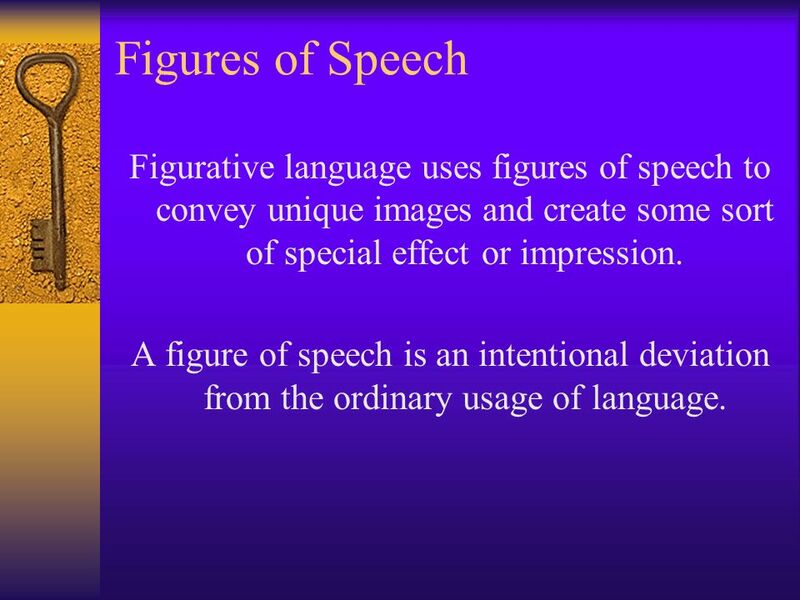 3 Figures of Speech Figurative language uses figures of speech to convey unique images and create some sort of special effect or impression. A figure of speech is an intentional deviation from the ordinary usage of language. 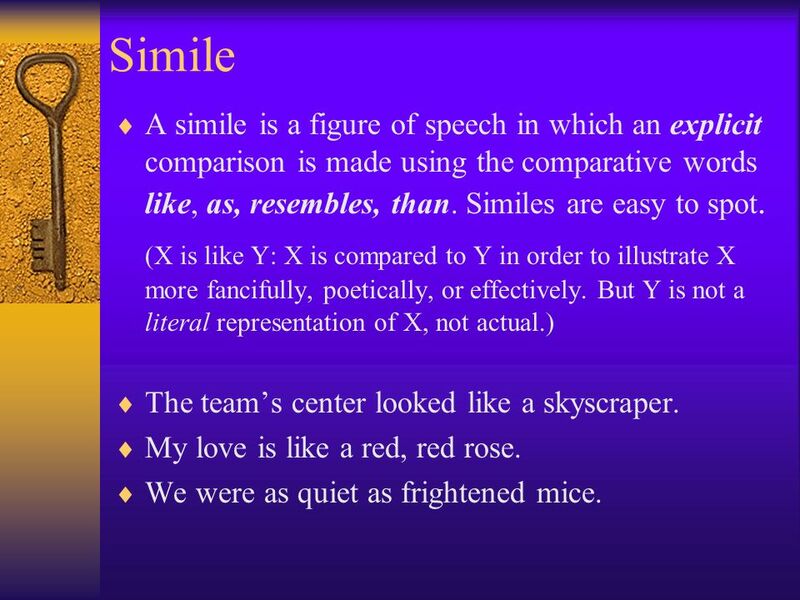 5 Simile A simile is a figure of speech in which an explicit comparison is made using the comparative words like, as, resembles, than. Similes are easy to spot. 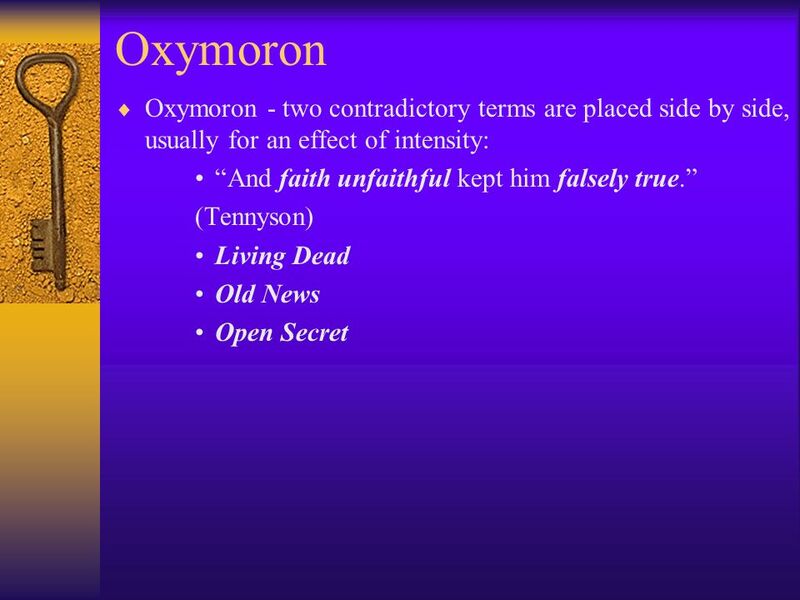 (X is like Y: X is compared to Y in order to illustrate X more fancifully, poetically, or effectively. But Y is not a literal representation of X, not actual.) The team’s center looked like a skyscraper. My love is like a red, red rose. We were as quiet as frightened mice. 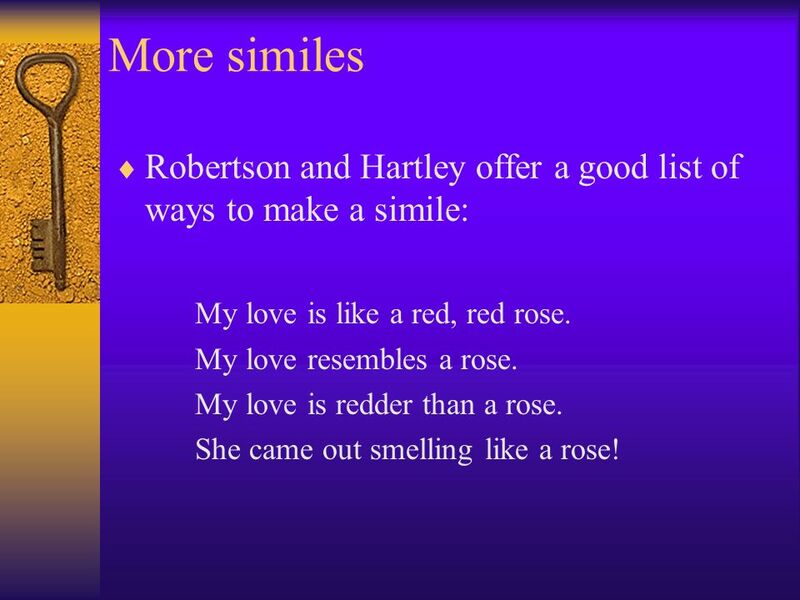 6 More similes Robertson and Hartley offer a good list of ways to make a simile: My love is like a red, red rose. My love resembles a rose. My love is redder than a rose. She came out smelling like a rose! 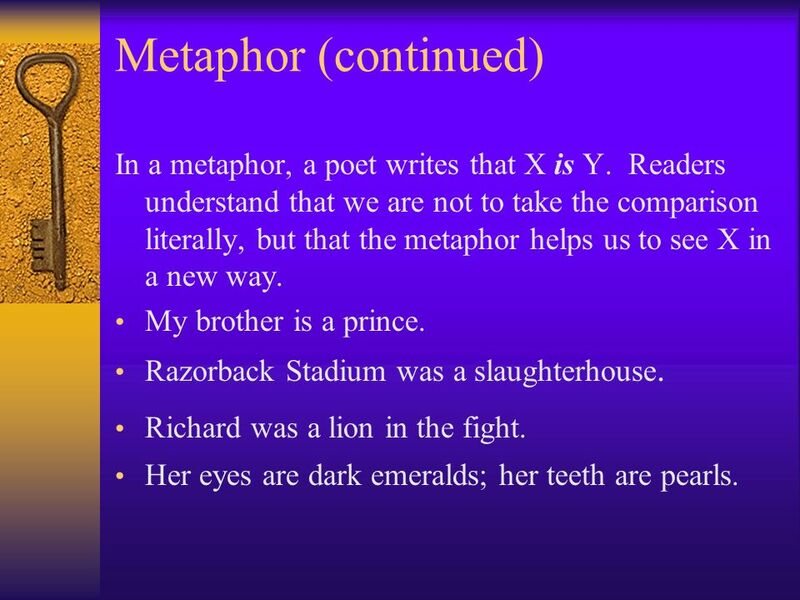 7 Metaphor A metaphor also compares, but a metaphor is a bit more sophisticated than a simile. 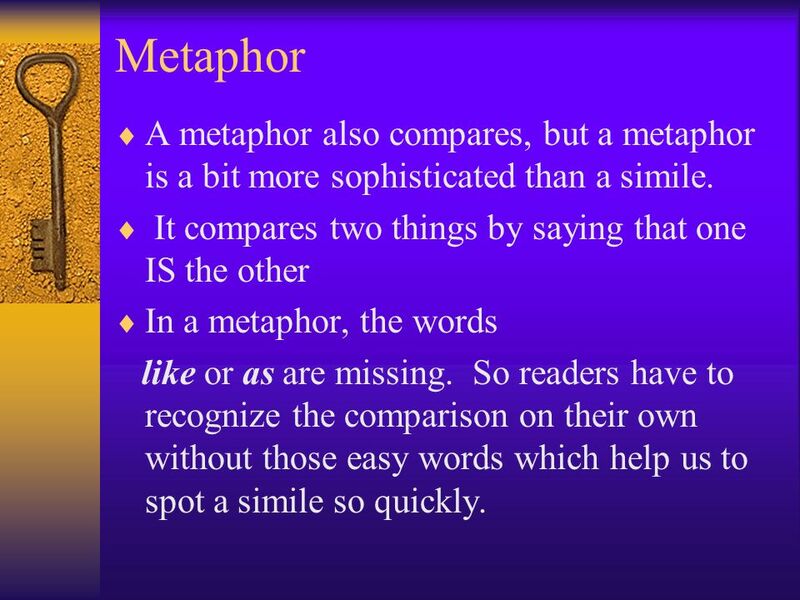 It compares two things by saying that one IS the other In a metaphor, the words like or as are missing. So readers have to recognize the comparison on their own without those easy words which help us to spot a simile so quickly. 8 Metaphor (continued) In a metaphor, a poet writes that X is Y. Readers understand that we are not to take the comparison literally, but that the metaphor helps us to see X in a new way. My brother is a prince. Razorback Stadium was a slaughterhouse. Richard was a lion in the fight. Her eyes are dark emeralds; her teeth are pearls. 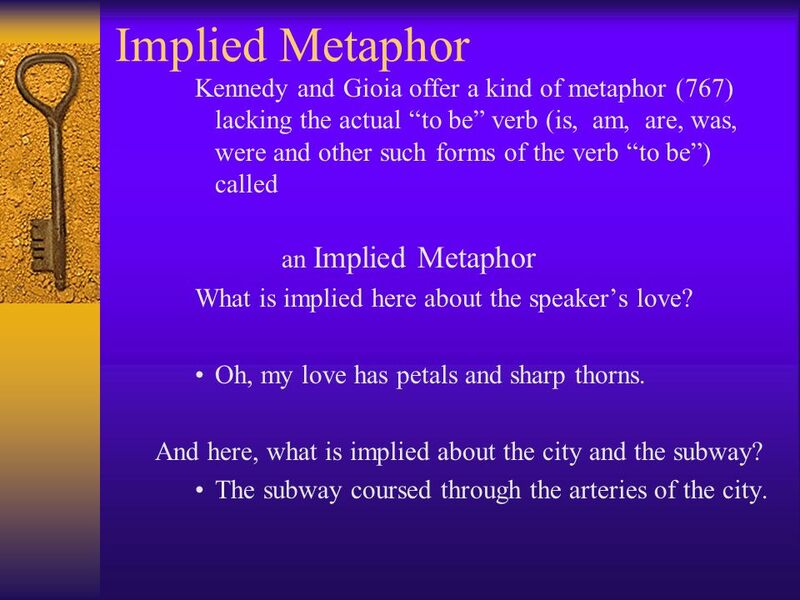 9 Implied Metaphor Kennedy and Gioia offer a kind of metaphor (767) lacking the actual “to be” verb (is, am, are, was, were and other such forms of the verb “to be”) called an Implied Metaphor What is implied here about the speaker’s love? Oh, my love has petals and sharp thorns. And here, what is implied about the city and the subway? The subway coursed through the arteries of the city. 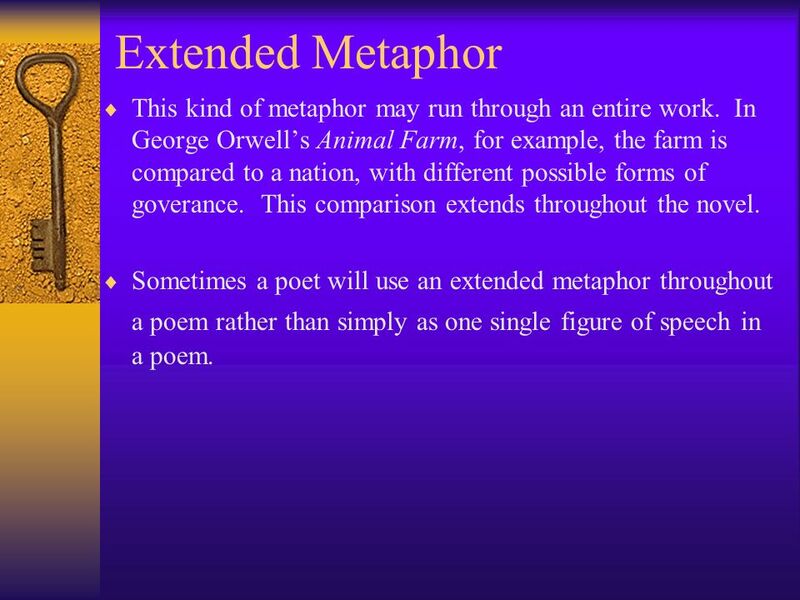 10 Extended Metaphor This kind of metaphor may run through an entire work. In George Orwell’s Animal Farm, for example, the farm is compared to a nation, with different possible forms of goverance. This comparison extends throughout the novel. Sometimes a poet will use an extended metaphor throughout a poem rather than simply as one single figure of speech in a poem. 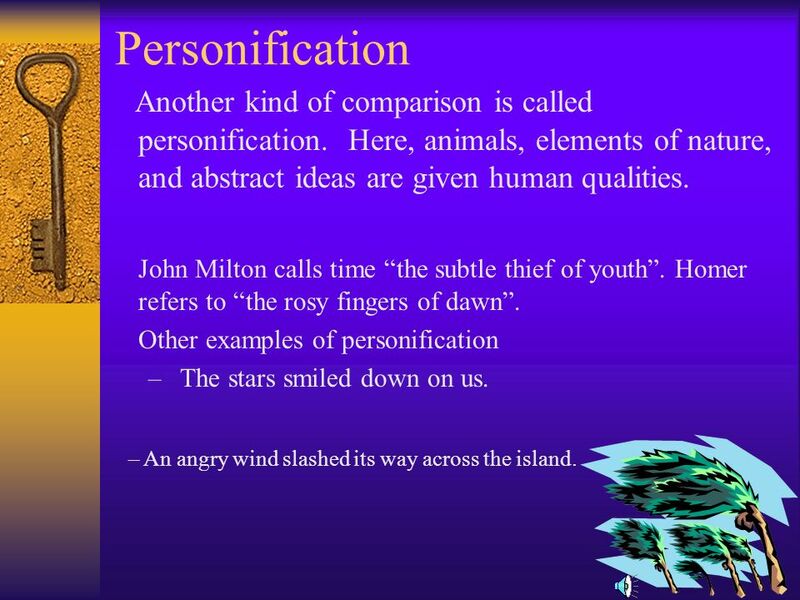 11 Personification Another kind of comparison is called personification. Here, animals, elements of nature, and abstract ideas are given human qualities. John Milton calls time “the subtle thief of youth”. Homer refers to “the rosy fingers of dawn”. Other examples of personification The stars smiled down on us. An angry wind slashed its way across the island. 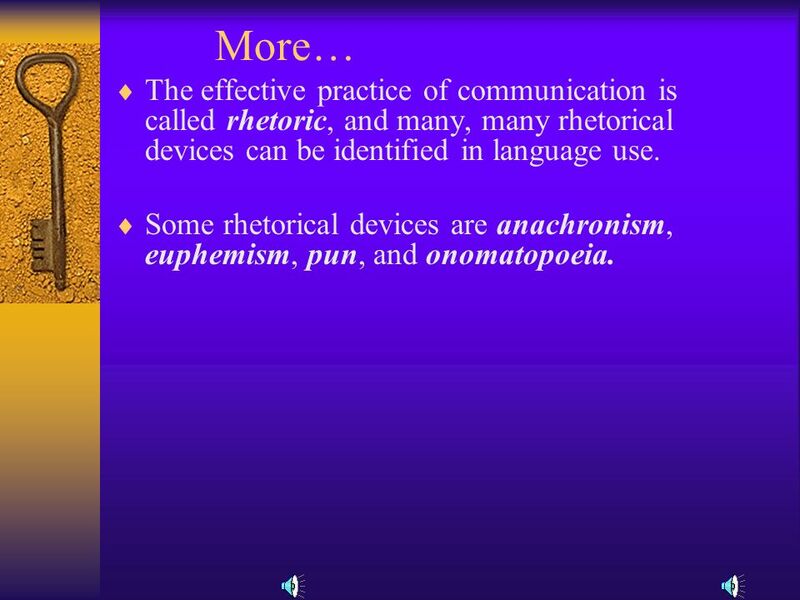 15 More… The effective practice of communication is called rhetoric, and many, many rhetorical devices can be identified in language use. 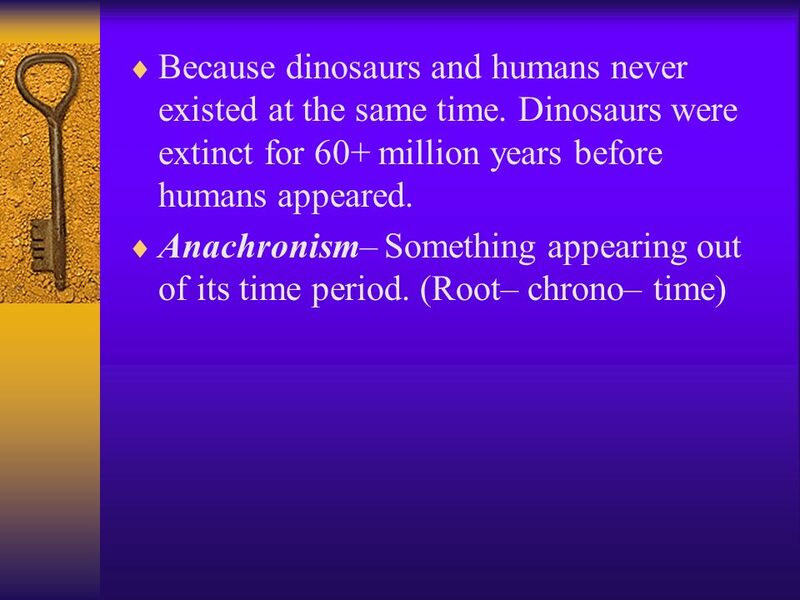 Some rhetorical devices are anachronism, euphemism, pun, and onomatopoeia. 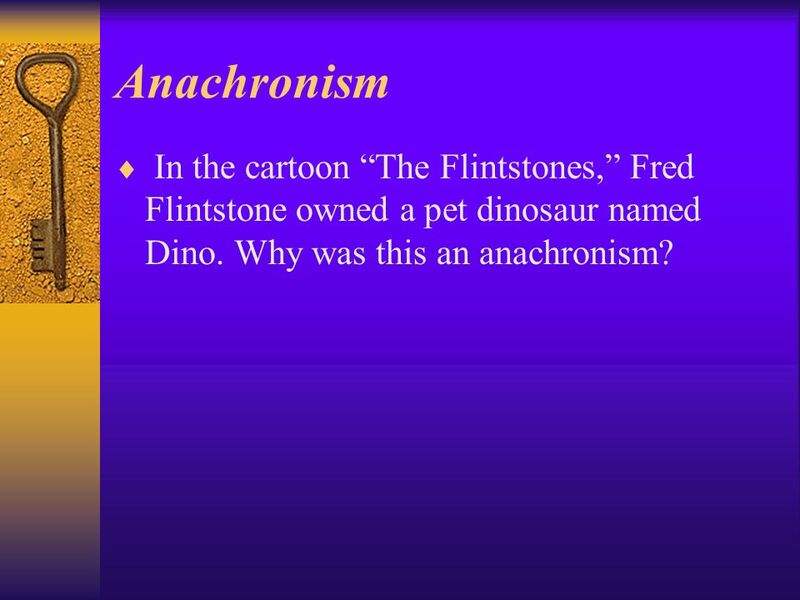 16 Anachronism In the cartoon “The Flintstones,” Fred Flintstone owned a pet dinosaur named Dino. Why was this an anachronism? 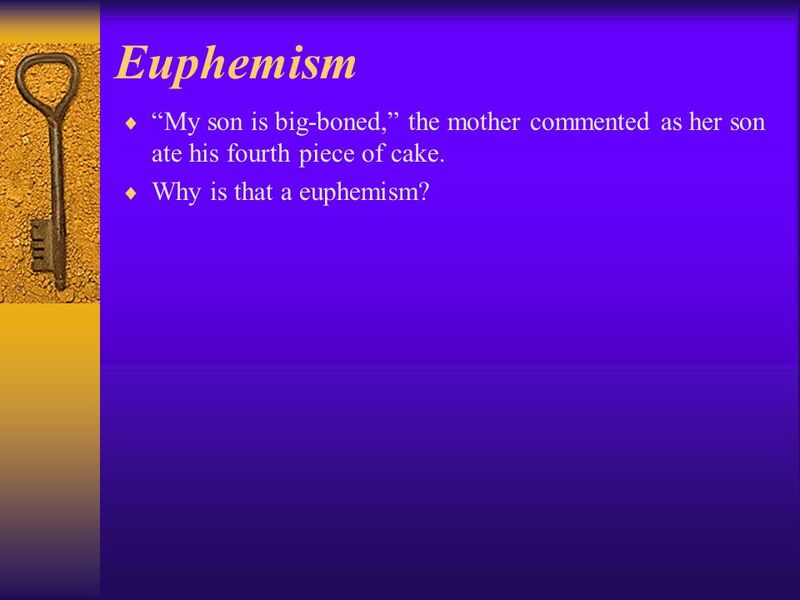 18 Euphemism “My son is big-boned,” the mother commented as her son ate his fourth piece of cake. Why is that a euphemism? 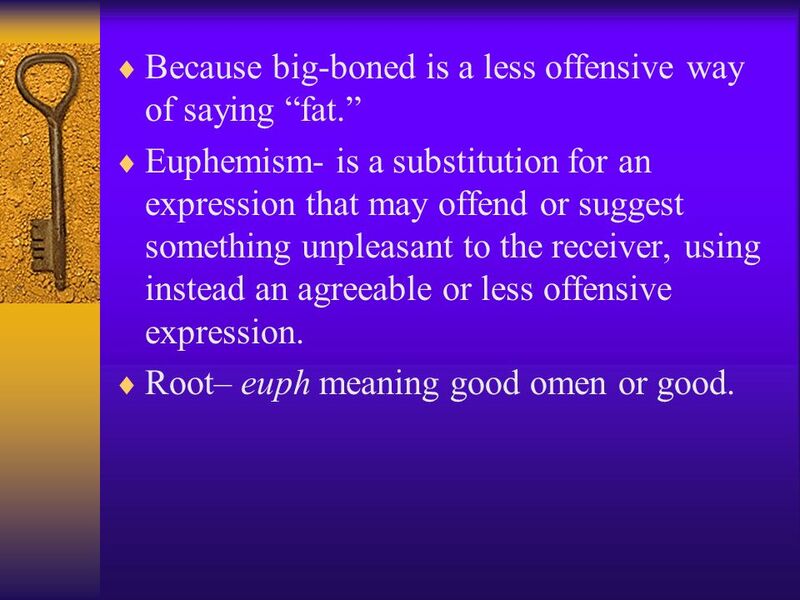 Euphemism- is a substitution for an expression that may offend or suggest something unpleasant to the receiver, using instead an agreeable or less offensive expression. Root– euph meaning good omen or good. Why is this a pun? Because it use word play from similar sounding words? 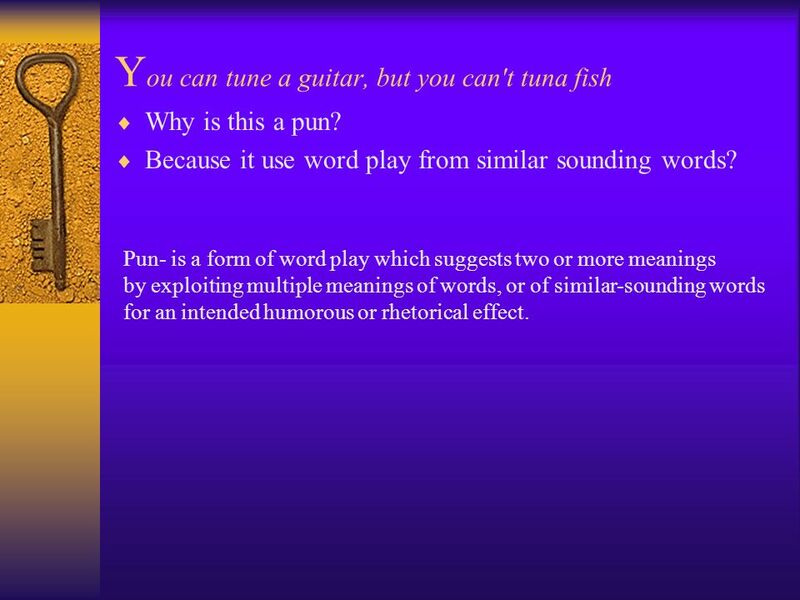 Pun- is a form of word play which suggests two or more meanings by exploiting multiple meanings of words, or of similar-sounding words for an intended humorous or rhetorical effect. 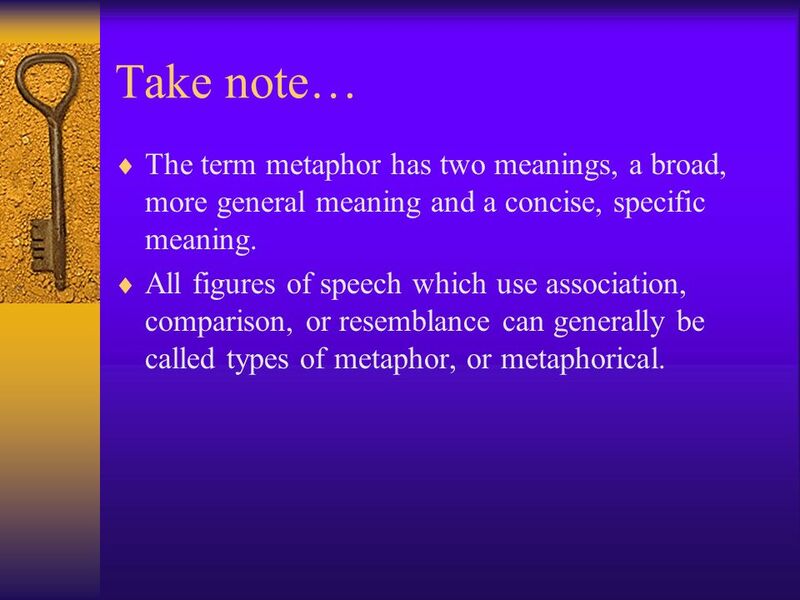 21 Take note… The term metaphor has two meanings, a broad, more general meaning and a concise, specific meaning. 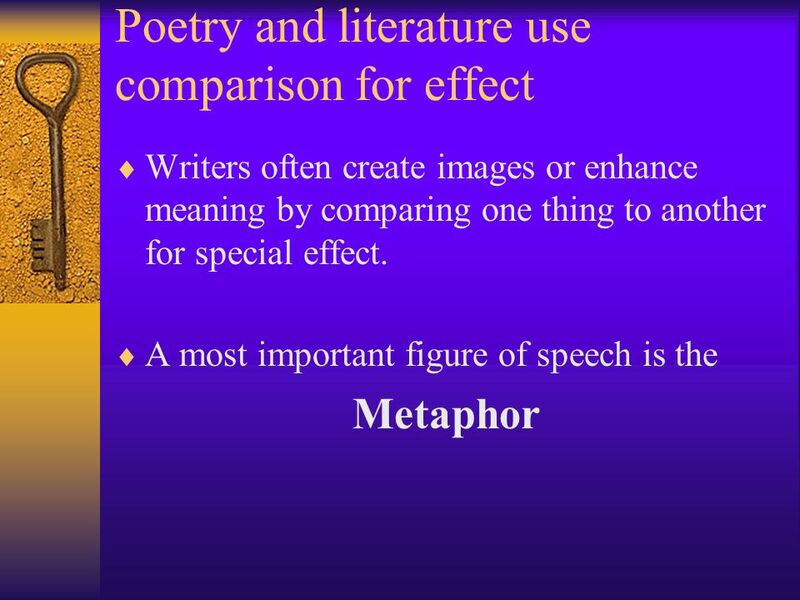 All figures of speech which use association, comparison, or resemblance can generally be called types of metaphor, or metaphorical. 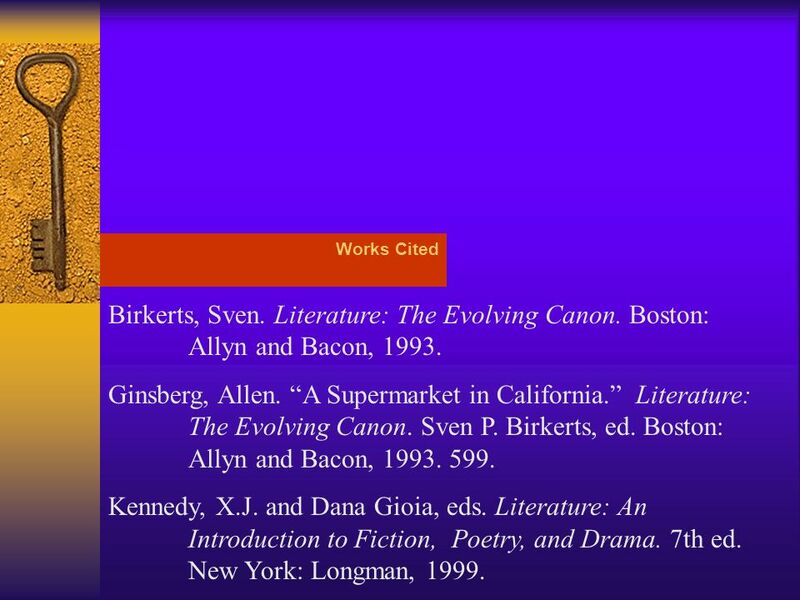 22 Works Cited Birkerts, Sven. Literature: The Evolving Canon. Boston: Allyn and Bacon, 1993. Ginsberg, Allen. “A Supermarket in California.” Literature: The Evolving Canon. Sven P. Birkerts, ed. Boston: Allyn and Bacon, Kennedy, X.J. and Dana Gioia, eds. Literature: An Introduction to Fiction, Poetry, and Drama. 7th ed. New York: Longman, 1999. 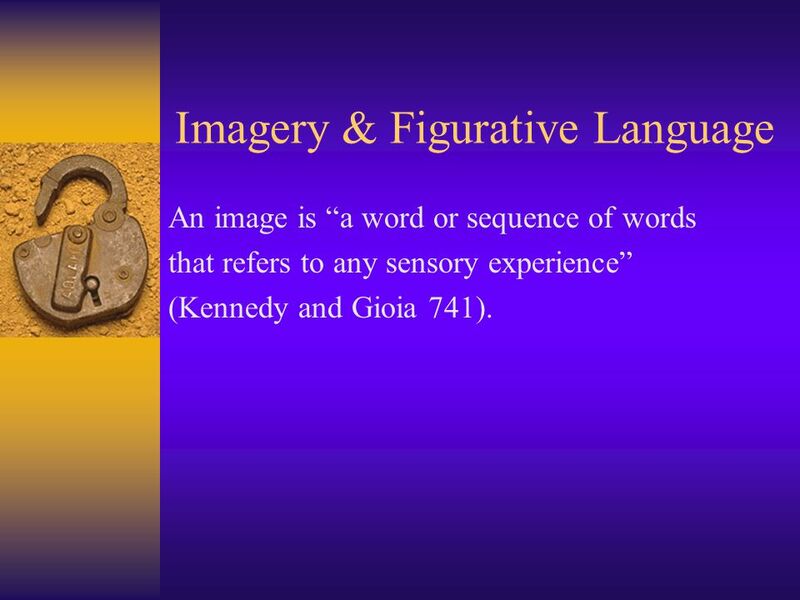 Download ppt "Imagery & Figurative Language"
Imagery & Figurative Language Animage is a word or sequence of words that refers to any sensory experience (Kennedy and Gioia 741). Go Figure! Figurative Language Recognizing Figurative Language The opposite of literal language is figurative language. Figurative language is language. Poetry Figures of Speech- Tools that help to create images in a reader’s mind to help him understand a person or an idea Devices of Sound- Language tools. Go Figure! Figurative Language Grades 6-8 Recognizing Figurative Language The opposite of literal language is figurative language. Figurative language. Go Figure! Exploring Figurative Language Figurative Language …cannot be understood word for word. …takes many forms. …usually compares two unlike things. Go Figure! 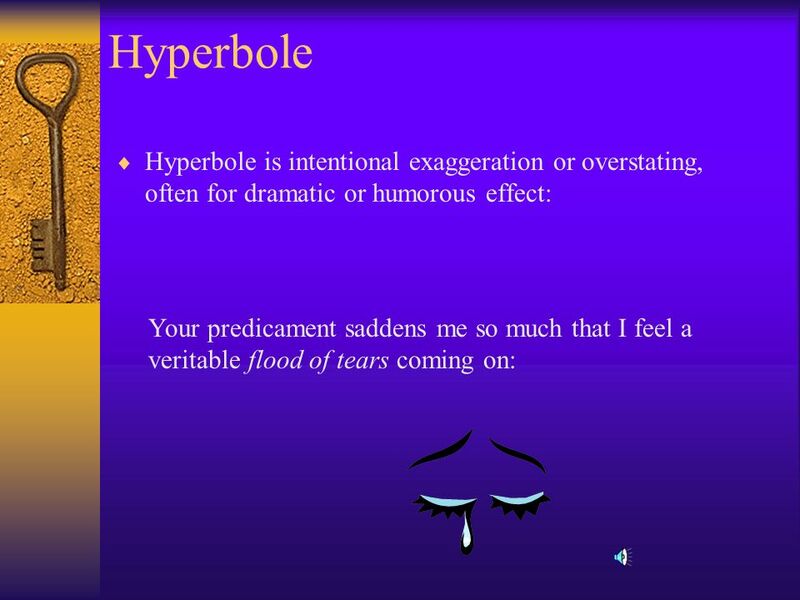 Figurative Language Mrs. Orso Recognizing Figurative Language The opposite of literal language is figurative language. Figurative language. 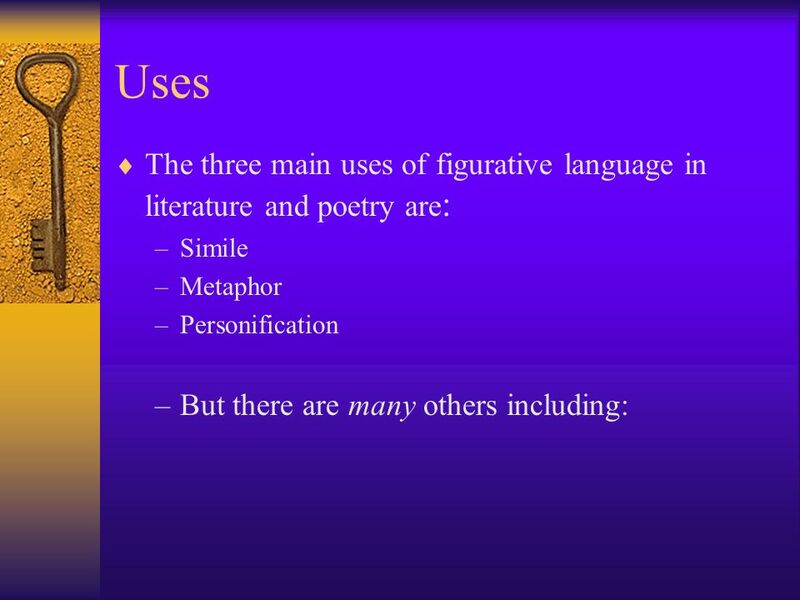 Figurative Language & Literary Devices HOME Click here to explore examples of Figurative Language & Literary Devices. Figurative language – words are used. Elements of Poetry What is poetry?.